I make yogurt because I am trying to produce my own food as much as possible. We milk our own goats, so it’s a delicious way to consume the milk. Your yogurt is good for me. Hi Ivo, the yogurt was great! We are using now an electric yogurt maker and its doing fine. The only thing is that we need to use the starter a little more than the recommended amount to reach the thickness we want. The result is very good for the yougurt as well as for the kefir, which is our favorite. We switch one week we make yougurt and the other kefir. I’ve been using your cultures for making homemade yogurt and have now made several batches of that smooth, creamy deliciousness. Thanks, Ivo! I have a diabetic friend who wanted to try my yogurt but thought it had lactose. This will be great for her! I made Bulgarian yoghurt in London. It tastes as in my childhood. Yes, the yogurt is perfect – it is creamy and thick and very, very delicious! 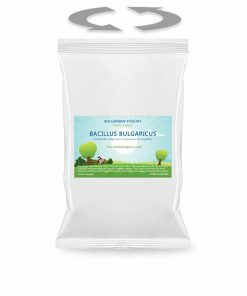 We use the organic whole milk from the store and make it using your Bulgarian starter. Dam man your yogurt starter is so good I just take a spoonfull from the previous batch of yogurt to start the next one. I only make 1 litre of yogurt each week. You are making me feel guilty. La razón más importante es que me gusta el sabor que tiene así como la textura y además me sienta muy bien después de comer. Aparte también es más sano que los que se venden industriales , de hecho tengo una hoja de cálculo y se perfectamente los nutrientes que al final tiene le yogur , sin azúcar añadido ni conservante ni nada de esas cosas. Hasta ahora he probado fermentos lácteos de Lboratorios Génesis Ltd, NPSelection,Kefiralia, starter cultures “Bolgari” y quería probar el fermento de vuestra empresa a ver qué tal sabor y textura tiene, espero que me guste para así seguir comprando vuestra marca y darle publicidad en mis redes. I’d bought 2 “sample” starters in my initial order. Tried the 1st sample – worked perfectly. Made 3 more batches from the yogurt I made. I still have the 2nd sample. And I ordered a “30-liter” starter pack from you at the end of October; got it mid-week last week. So, I’m stocked up for quite a while. 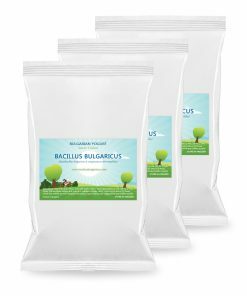 Before I found you online, I’d bought a rather expensive organic “probiotic” yogurt starter locally. 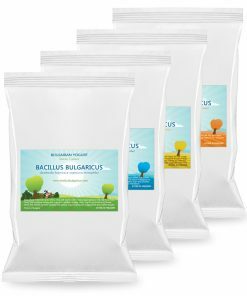 It’s a German brand and its 5g pack contains organic maltodextrin (98%) of the 5g), lactobacillus acidophilus, streptococcus thermophilus & lactobacillus delbrueckil subsp bulagaricus. The yogurt I was able to make with their starter was frankly “crap” compared to yours! And I like the “sour” taste of your yogurt. So – unless something goes dramatically wrong, your starter is a keeper. I’ll be ordering fresh starter packs from you as and when I need them. I got my package with starter, thanks for that. I buy yoghurt because it is delicious, healthy and easy to make at home. Wow, that is DELICIOUS! Thank you so much Ivo! Everything is fine, still make yogurt regularly! I always order enough to last, as I still live in Costa Rica where shipping is difficult! I have 2 gallons of milk just waiting for me to start another batch! Next month we will be moving back to the USA, so I’ll be able to order it when ever I want! why i like it? 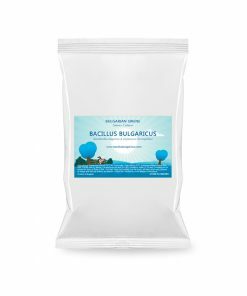 Beacause im bulgarian! SIMLE AS THAT! The starter has been working beautifully, thank you, and the yoghurt it makes is delicious. The Yoghurt made with your starter cultures tastes great! As good as the yoghurt I had when I was in Vratsa/ Враца this September!! The first time I prepared the yoghurt, the result was still a bit too liquid. It is very important to keep the temperature during the whole fermentation process, which is not so easy if you don’t have a device that ensures precise temperature control betwen 34 and 37 deg.C. But there is a workaround: If the yoghurt is not firm enough after some hours, warm it up again to 36-37 deg. C. and fermentation continues… you can repeat the process 2-3 times until you get the desired firmness. After you put the yoghurt to the freezer for some hours it gets even more firm. So it is actually possible to make the yoghurt without any special yoghurt preparation device that controls the temperature. I used a rather fat milk with 3.9% fat, that makes the yoghurt even tastier in my opinion. Made my first gallon batch from your starter, and I am very pleased. The resulting yogurt had a great body, and just enough of a tang to it. Looking forward to many more happy generations! I buy your yogurt because I am Bulgarian and I love our yogurt! We use an automatic cuisinart yoghurt maker, the one that switches to chill once the fermentation time is over. We just mix the starter with the cold milk and stick it in the machine and it does the rest although Edgar likes to strain it. It’s more yoghurt cheese in the end I suppose but it’s fantastic and makes the absolute best tzaziki. I did order the yogurt starter kit 4 months ago and have since reordered some more. If you recall I sent you a photo of the packet labelling which you agreed wasn’t good enough. I am absolutely delighted with the product and make 11 pots at a time and have at least one a day. I’ve also recommended your product to lots of other people who hopefully have ordered. I will order more but don’t need any at present, a little goes a long way. Just made tzaziki for tonight’s vindaloo. Fusion cuisine here haha. Just made tzaziki for tonight’s vindaloo. 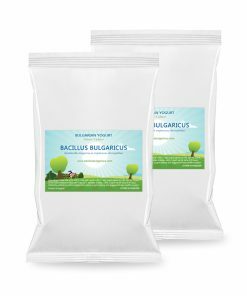 I’ve just made my first batch of yogurt with the Bacillus Bulgaricus yogurt starter. It is fantastic! Smooth and creamy, with outstanding consistency and a pleasantly tart flavor. 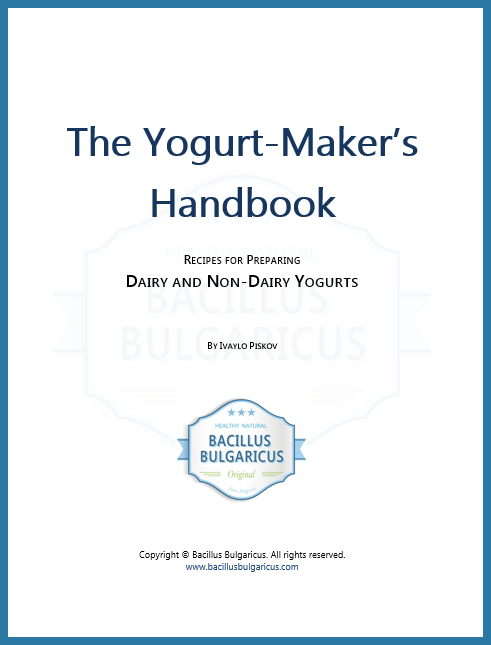 I’m still quite new to making homemade yogurt and this was very straightforward. The yogurt is unquestionably more to my liking than I have produced with any of the starters that I have used previously. Thanks for this outstanding product! I will definitely be ordering more in the future. Your yoghurt is just fab. I’ve pAssed on your details. I like the taste and I want to keep a healthy gut biome. The its hard to pick just one reason why we buy yogurt but I would say most because it makes a great quick snack. We received the order yesterday, Many thanks for this. We tested a batch and are VERY happy with the yoghurt. first made yogourt, plus a teaspoon of double cream. I don’t have enough to make a photo but will do with the next production. You are so kind; thank you very much! Thank you very much for the yogurt culture. The yogurt looks and tastes like a real Bulgarian yogurt. Sending you a picture of it in a jar and also a free coupon for my anti-aging course. In my next course I will include some lectures on nutrition and will mention the role of LB in supporting a healthy microbiome. I can’t imagine using any other starter for my yogurt and kefir! This is what I eat for breakfast every day. 1 Tbs. of each protein powder and/or Chia seeds. The yogurt almost always has 1/2 an apple, 1/2 grapefruit, some avocado, a Kiwifruit, and some banana. I eat yogurt for my health, but it is a challenge because many commercial yogurt contain a lot of sugar and additives. I’m excited to try non-dairy yogurts due to dairy sensitivity. I’m looking for rhamnosus bacillus too if you have them I’d buy from you of course. Yeah, it didn’t turn out so bad. I finally need to make a new order. Attached is the result of cooking the yoghurt for 24hr at 40c Then strain until all the whey has gone and you have the most yummy cream cheese which keeps in the fridge for 2 weeks. Amazing with smoked salmon! I like the creamy consistency and the taste.